Boss Box Arm Reception Room Chair [B619] Free Shipping! Get the chair that makes a difference; get the Box Arm Guest Chair by Boss. 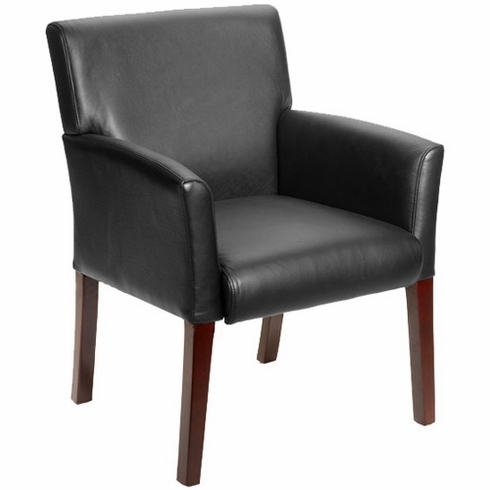 Sleek and elegant, this guest chair offers comfort, style and firmness, all in one setting. Its Mahogany Finish adds more shine to rooms for the ultimate appeal. In addition to clarity, it's solid, soft, rich, and well-crafted to assure long-lasting stability, a must have.